Hey guys, I did some shots while I was in Vegas that I'd appreciate C&C on, especially regarding pp and framing of the picture. Regarding the fountain picture; I'm considering cropping away some of the bottom. 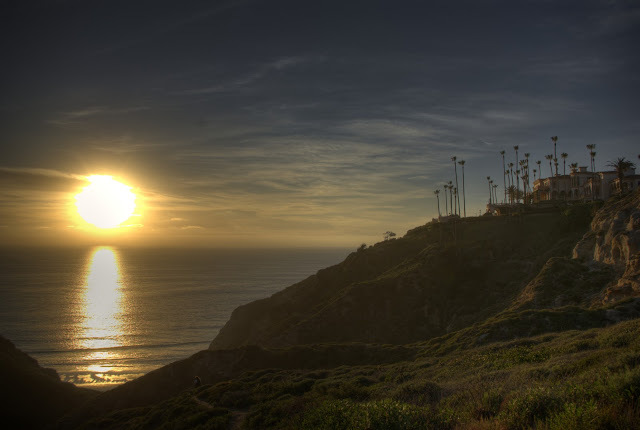 The sunset picture is from La Jolla. It is a HDR-photo from 3 pictures, using 2ev bracketing. My main concern on this one is whether or not it's too dark? Could lighten it a bit, but I'm afraid to lose the "sunset-feeling". Nice capture of the fountain. I might try upping the contrast for a little more pop in the sky, and maybe clone out the streak on the top right (though it does somewhat balance the sun). The California shot has a nice fairytale feel to the land. They're both not bad at all. 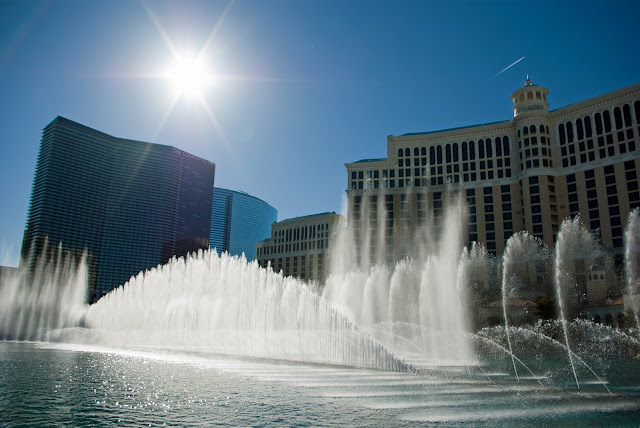 #1 is a very memorable scene as I had the pleasure of staying at the Venetian and spent some time enjoying the Bellagio scenery in all its glory, both by day and by night. This capture does take me back to that experience quite nicely. It's a good camera angle and well rendered, only the Bellagio itself is a little dark, otherwise good. #2 is dark in the foreground, and if intended creates a fine moody sunset capture - though the HDR effect is quite obvious. Improving contrast while still increasing brightness of the foreground might help its overall look. I do agree in the sun being dominating, but seeing as I forgot my lens hood, it is limited what pp can do with it without looking bad. Already lightened up the Bellagio quite a bit ( alot), but I'm defininately gonna try some more and see what happens. I'm also going to play around more with #2. But regarding the HDR-look, do you find it ruining the picture in any way? I don't very often do HDRs, and I haven't come to terms with myself on how I like them yet. Thanks again for the comments, they are much appreciated! It definitely hasn't ruined the image - it looks fine as is without the detestable posterised haloing and impeded colour and contrast that I have seen produced in many other HDR images. In fact it's looks to be a hard one to try and improve due to how much shadow detail that had to be pulled out of the backlit scene to get it looking the way it does now. Nevertheless if it did have more textured detail brought out it might improve the foreground's impact. If the first picture wanted to shot the sun - ok, otherwise I would prefer softer light. The second photo you took too early - the exposures around the frame are sky/land/sea are all different and more work has to be done in PP to recover the problem zones like down left corner. The exposure of the image with that frame looks somewhat odd to me.